Today developer VitaHEX Games has released a new version of SwitchView UI 0.1.1 for the Playstation Vita. Check out the release notes, changelog and the download link provided below. The title of the app is SwitchView UI. I started this project for fun and for personal use but in the process it turned out to something really great so I decided to share it with you. It's a simple homebrew app (or game launcher) that gives you an interface to launch your games and apps. It is not a replacement for the Vita's Livearea it is just a homebrew app. 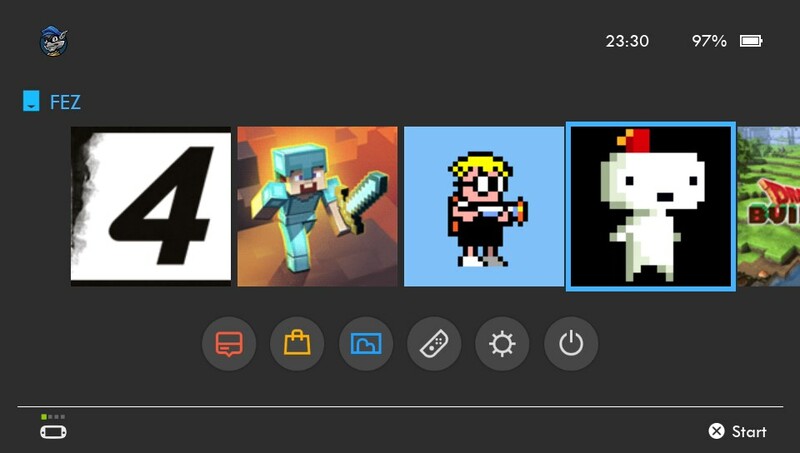 It lists all the games/apps in your ux0 location (not system apps), and shows them in a menu very similar to the Switch UI. 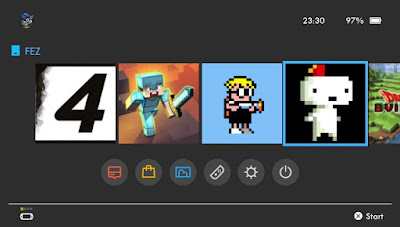 As you can see I tried to make all the graphics similar to the Switch dark theme. I also tried to keep the PS Vita buttons and icons the same. The buttons bellow the main game thumbs are the system apps like the PS Store, Photos, Settings app etc. With a little customization you can turn this in to a PS4 or Xbox One interface by simply replacing the images and adjusting the positions. It's very simple at it's current state but it does the job.